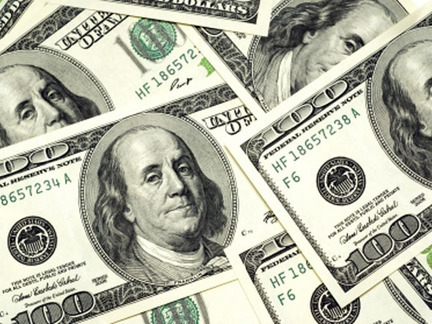 There’s something you can never afford to forget when you are running a business out of your home — cash is king! Whether it is a multi-billion dollar empire, such as Bill Gates’ , or the tiny mom-and-pop convenience store on the street corner, cash is the lifeblood of the business. In today’s uncertain economy with ever rising interest rates, many small businesses with limited financial training are having problems staying alive, let alone prospering. In fact, 63% of new businesses don’t survive six years — and most work-at-home people fail within 6 months! The primary reason is bad cash management. Too many self-employed people neglect their cash flow until it is too late to recover. Suddenly, presto! it ‘s back to your office job! We don’t want that to happen. 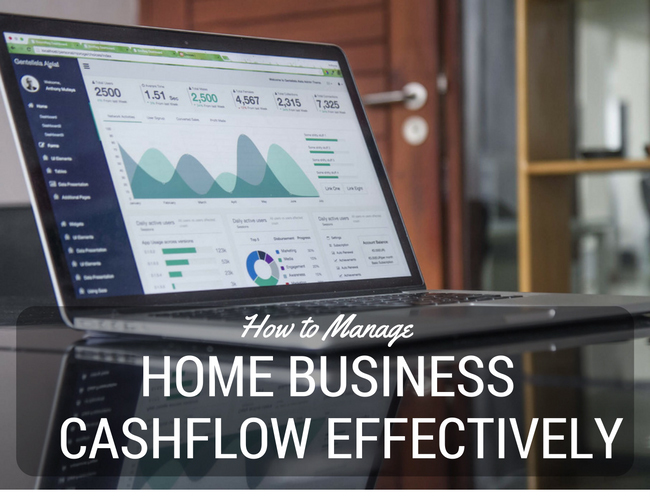 So the big question is: How will you manage your cash flow effectively? If you are not sure, then you are on shaky ground. Let’s break down Masonson’s tips one at a time. Send out your invoices the same day goods are shipped, not a week or two later. Indicate on your invoice when payment is due, and specify the penalty interest for late payment. Consider using a bank lock box (post office box strategically located near customers to reduce mail time) to collect your mailed checks from customers across the country. You lockbox bank picks up mail around the clock including weekends, processes the checks and credits your account. (Note: this last step is probably more appropriate for businesses grossing more than $25 million annually. You may not be there yet, but keep it in mind for when you get there)! This seems only obvious, but it’s extremely important. In fact, here are Masonson’s six sure-fire suggestions for getting the fastest availability on deposited checks. Always deposit checks the same day they are received. Don’t hold checks until the next day because you lose one day’s float. Key point: you can lose three days of float by not depositing Friday’s checks until Monday. Obtain availability of 0 to 2 days on deposited checks. Don’t let your bank give you the customer availability of 1 to 5 days. Be persistent. Ask the bank for its “availability schedule” and scan it to be sure you’re receiving fast availability of two days or less. Each bank has its own availability schedule. This is used to assign check availability to consumers, business (commercial accounts), and large corporate accounts. Availability is the number of days until you can use the money deposited by check as cash. For example, a $1,000 check deposited today and assigned a one-day availability can be withdrawn as cash tomorrow. Don’t deposit checks in a bank’s Automated Teller Machine or use the Night Depository since you have no evidence that you actually deposited the checks you said you did. Remember, you only receive a receipt that shows the time and dollar amount on the deposit at the ATM, and you get no receipt at the Night Depositor. MICR encode your customer’s checks (using a machine that prints magnetic ink on the bottom of the check) with the dollar amount before depositing them in the bank if you deposit more than 500 checks per month. Banks charge 3 to 5 cents less for each encoded check. Used encoded machines cost about $1,500. (Check your Yellow Pages under bank equipment for dealers). Besides saving money, you may get another benefit: faster check availability. Ask you bank about its deadline for receiving availability on deposited checks. Some banks may require a deposit of an encoded check by 2 p.m., even though the bank is open to 5 p.m. Make sure you make this deadline, otherwise, you lose one day’s float. Before using a bank’s ATM for check deposits, find out the bank’s availability deadline. Some banks have a 12-noon cut-off time which means that any checks deposited later are considered to be deposited the next day! In that case, you lose an entire day’s float, even though you did your bit to get the checks cashed. Check the financial health of a new customer before offering them credit. One way of doing this is by using a rating service, such as Dun & Bradstreet (1-800-234-3867). Ask a new customer for five business references and don’t neglect to call them. Don’t offer too generous discounts, such as 3% for payment in 10 days. A better rate is 1.5% cash discount. It costs you less. Charge a “late fee” of 2% per month to customers who pay late and chargeback customers who take discounts after the discount periods. Don’t send out new merchandise if bills remain unpaid. Remember that bad debt hurt your bottom line! Be vigilant and try to get at least periodic payments from slow payers. Instruct your bank to automatically deposit “returned checks.” Ask your bank if they offer Return Item box service. If they do, then use it to redeposit your check and charge back the bank return item free to your customer. These seven steps are tough and unrelenting, but they may make the difference between a positive cash flow month and a sluggish month for your business. It may seem a bit hypocritical to demand swift and exacting payment, and then do what we suggest next. But just remind yourself, all (almost) is fair in love and war and business. Pay your invoices on the last day they’re due, not before. Try to mail your payment on Thursday or Friday to pick up a few extra days mail float over the weekend. Use business credit cards for travel, lodging, meals, and small expenses for yourself and your employees. With credit cards, you typically don’t have to make payment until 25 days after receiving the statement. Use this float by investing the money. In total, you can typically keep your money invested for 45 days from date of purchase. Consider setting up a remote disbursement checking account in another state to extend the check clearing float by at least a day. This practice is used very successfully by 17% of large companies. The downside of this practice is that some vendors may complain about their delayed availability on their bank deposit. But this can be overcome by mailing them their checks one day earlier. Now, many small businesses neglect to reconcile their monthly bank statements or assume that the bank never makes a mistake. Banks do make mistakes, and you must stay on top of your disbursement to control your cash flow. If you are one of those people who simply can’t stand to balance you checkbook, you can use a bank’s standard account reconcilement services for a low monthly price — $30 to $70 base charge and 5 to 7 cents a check. When is it best to use a bank’s reconcilement service? When you have a monthly check volume of at least 500 checks. When you need specialized reports. When you are currently performing your own reconcilement. You can find software at a reasonable price that meets your needs. When you don’t have your own PC or any other kind of computer system. (We already warned you about that). When you have no staff to do it, or time to do it yourself. Many businesses make the mistake of keeping too much money in their bank accounts to pay for bank services. This money could be used more effectively elsewhere — such as to pay off a loan or to invest at a more competitive rate. Many businesses have no idea how much money to leave in the bank or what alternatives they have to compensate the bank. Take some time to find out what your minimum balance needs to be. How do you know how much money (bankers refer to this as “balances”) to leave in your checking account to pay for bank’s services? That’s a question that more business owners should be asking themselves. First, get a price list which shows how much your bank charges for services like account maintenance, checks deposited, checks paid, stop payments and wire transfers. Ask the bank to send you a monthly “Account Analysis Statement.” The analysis statement contains the average balance levels for the month — both the ledger and the available balance — as well as a listing of services used, their transaction volumes and cost. This statement should be obtained in addition to the regular monthly bank statement. Look at the account analysis to see whether you are overcompensating the bank. Then pull out any excess funds and invest them in a high-yielding money market mutual fund, for example. A word of advice: Smaller banks may not know what you are talking about when you ask for an account analysis. Larger banks often offer such a statement, but you have to ask for it. And don’t let them charge you for this kind of statement since it is only an invoice. Every item you have sitting on your shelf should eventually be transformed into cash in your bank account, and the sooner the better. As long as it’s inventory, it’s basically dead weight. If it is not moving, you’re not having cash flow. Attempt to forecast as accurately as you can the day, week and month what you expect to sell. If you are dealing with more than one item, determine which item accounts for 80% of your sales. Then minimize ordering other items that are selling poorly or infrequently. 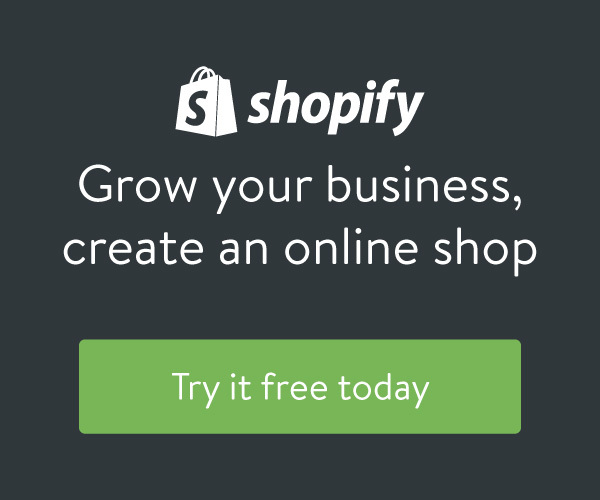 Determine how fast you can get inventory, once you order it. Try to order as late as you can. Some firms can use “just-in-time” inventory which enables them to receive their order the day they need it. Determine your economic order quantity and don’t order too much inventory just to save a few pennies. Shop around and make sure you are getting competitive prices. Develop a policy for determining what is obsolete inventory, and how you can get rid of it. The best way to get rid of dead inventory is to sell it whatever you can get for it, even if that’s only 10 percent of what you paid for it. At least it will generate cash flow. That may sound complicated, but in practice, it actually is not. The best example of a continuity sale is a magazine subscription. 12, 24, or 36 issues delivered each month for X amount of dollars. The bigger the subscription, they better deal you get. The publisher gets more money up front, and the customer gets a better deal in the long run. Let’s say you own a dry cleaning business. How about an annual deal to clean 5 shirts or blouses per week for set amount of money? Get people to pay your for the entire week up front for a lot of fast cash flow. You’ll trade a discount for getting business, but you’ll ensure a steady cash flow for months to come. Continuity works with just about any kind of product or service you are offering, from dry cleaning to your personal consulting service. You can structure payments for continuity sales on almost any basis, but it’s best by far to go for complete payment up front. After all, the discount is based on a customer’s commitment, and they’ll be a lot more committed with their money on the line. After all, is said and done, if you were to list the assets of the company you have created, you’d probably include your inventory, equipment, accounts receivable, equity, and so on. But by this time, especially if you have been reading carefully, you have something more — something that is not necessarily a physical “thing” such as cash or inventory. If you’ve been a clever business person, you have come up with certain ads that have out pulled your competitors. You have developed policies and procedures that have kept your returns and refunds the lowest of any around. Or you may have come up with a money-making technique that is completely unique. If so, you are potentially sitting on a fast source of cash. You can license the rights to use any of your specialized techniques or assets to other non-competitive businesses. You can do it for a flat fee, a percentage of profits, on a royalty basis, or any other way that makes sense to you. You can also conduct seminars to teach your techniques to other would-be work-at-home entrepreneurs and charge whatever the market will bear. It’s easy to generate an extra $5,000 a month and much more on the lecture circuit. While you are getting paid to spread your knowledge, you will be drumming up more business. The knowledge you have in your head right now could very well be worth a lot of money. It’s only a matter of you looking within yourself and at your successes to see how you can transform it all into real, hard cash. What a great article! It appears that you’re very committed to your subject, which is a refreshing change of pace. I wouldn’t be surprised to see you get an offer to write for a famous publication. I hope you know that people actually appreciate quality writing like this!